Kévin Estre (France), Laurens Vanthoor (Belgium) and Mathieu Jaminet (France) crossed the finish line at round three of the Intercontinental GT Challenge in Japan directly in front of Romain Dumas, Frédéric Makowiecki (both France) and Dirk Werner (Germany). Due to a late spin, the Manthey car narrowly missed out on a top ten spot and finished behind the Craft-Bamboo entry. 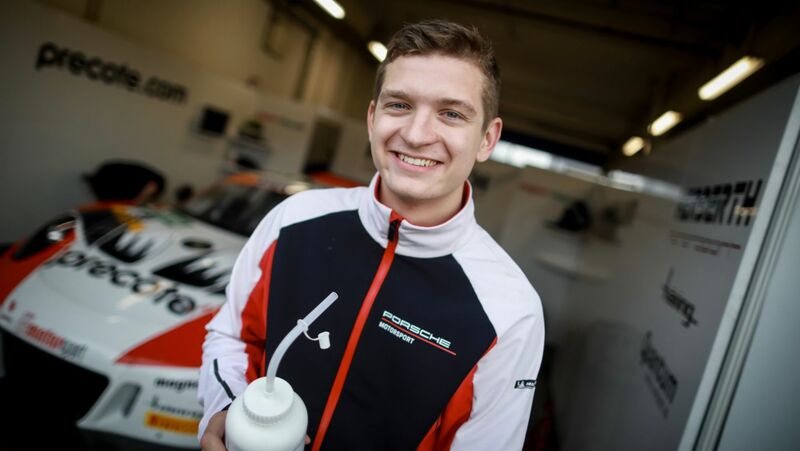 Taking up the race from 17th on the grid, Porsche works drivers Estre and Vanthoor with Porsche Young Professional Mathieu Jaminet worked their way up the field over the distance. After 275 laps, Vanthoor swept over the finish line just eight seconds ahead of Werner. The German and his works driver teammates Dumas and Makowiecki left their mark in qualifying with sixth place. The race on the 5.807-kilometre Suzuka Circuit in the Mie Prefecture was marked by extreme humidity and high temperatures reaching 35 degrees Celsius. Of the 35 vehicles to contest the race, 23 were driven exclusively by professional drivers. Earl Bamber (New Zealand), Sven Müller (Germany) and Tomonobu Fujii from Japan, who shared driving duties in the cockpit of the number 7 Porsche 911 GT3 R fielded by D’station Racing, did not see the flag. Bamber, the two-time outright Le Mans winner, retired after around two and a half hours after losing drive. In the Pro-Am category for professional and amateur drivers, both Porsche 911 GT3 R completed the full ten-hour distance. Driving for Black Swan Racing, Tim Pappas, Jeroen Bleekemolen and Marc Miller scored fourth in their class. Like Manthey-Racing, the American squad contests all rounds of this year’s Intercontinental GT Challenge. In the second entry (No. 77) of the D’station team, Satoshi Hoshino, Tsubasa Kondo and Jono Lester finished ninth in the Pro-Am class. 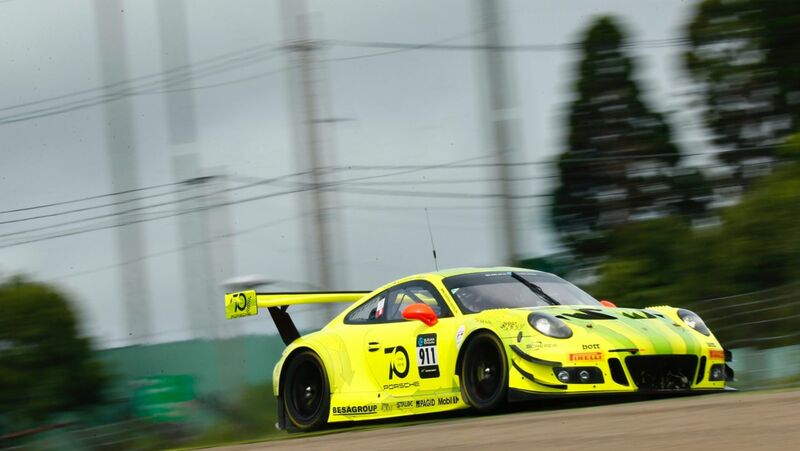 The Porsche works drivers Romain Dumas, Frédéric Makowiecki (both France) and Dirk Werner (Germany) planted the number 911 customer vehicle on P6 for round three of the Intercontinental GT Challenge in Japan. Thirty-seven-year-old Makowiecki set a lap time of 2:02.425 minutes on Saturday at the final qualifying on the Suzuka Circuit. The Intercontinental GT Challenge is the world’s first racing series, in which vehicles complying with the FIA GT3 regulations make up the top class. The series was founded in 2016 by the SRO Motorsports Group under Stéphane Ratel. Rather than field a factory squad, Porsche supports international customer teams in their campaign with the 911 GT3 R by providing works drivers and engineers from Weissach. For each race, a maximum of four vehicles selected by the manufacturer are entitled to earn points. Of these, the two best-placed vehicles at the end of the race are awarded points for the manufacturer’s overall classification. In the driver’s category, however, the drivers of all cars nominated by manufacturers are eligible for points. Just like at the 24 Hours of Spa, the regular Blancpain GT Series Endurance Cup factory drivers Romain Dumas, Frédéric Makowiecki (both France) and Dirk Werner (Germany) will tackle the race for Manthey-Racing. 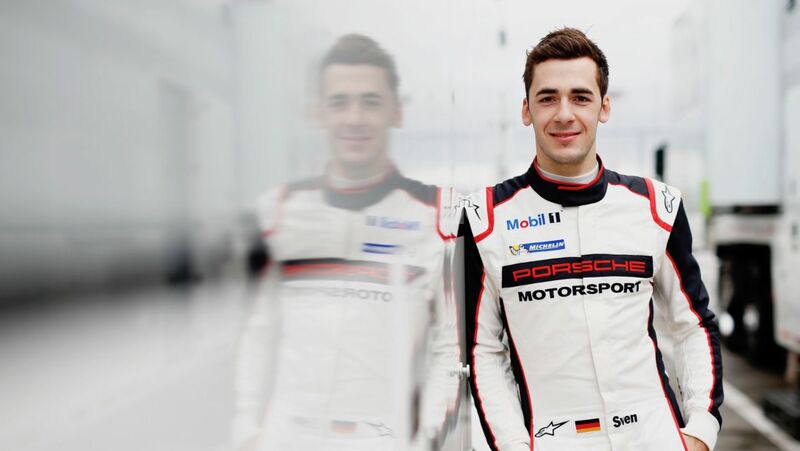 Also contesting the Pro class for professional drivers are Laurens Vanthoor (Belgium), Kévin Estre and Porsche Young Professional Mathieu Jaminet (both France). The trio share the cockpit of the 911 GT3 R fielded by Craft-Bamboo Racing, which also took on the season-opening race at Bathurst, Australia. In the Pro car fielded by D’station Racing, Earl Bamber (New Zealand) joins forces with local hero Tomonobu Fujii as well as his works driver colleague Sven Müller (Germany), who is contesting his second complete Super GT seasons for the Japanese customer team this year. The 911 GT3 R was designed by Porsche for worldwide GT3 series. Mounted with the ultra-modern, four-litre flat-six engine with direct fuel injection, the 368 kW (500 hp) customer sports racer celebrated its race debut in January 2016 at the Daytona 24-hour race. Since then, the car has notched up victories in numerous international racing series, for example in the IMSA SportsCar Championship, the World Challenge, the ADAC GT Masters, and at the 24-hour race on the Nürburgring. New on the 2018 calendar, the Suzuka 10 Hours marks round three of the Intercontinental GT Challenge. The first edition of the race was held here in 1966. This year’s race will be contested over ten hours instead of the previous 1,000 kilometres as support to the Super GT. Last season, around 45,000 spectators witnessed the Summer Endurance Race on the high-speed circuit in the Mie Prefecture. The fourth and final round of the 2018 Intercontinental GT Challenge takes place on 28 October at the Laguna Seca Raceway in California (USA). In Bathurst, the Porsche team Black Swan Racing scored third overall, and also won the Class A Pro-Am. Matt Campbell secured a good starting position for his Competition Motorsports team.